Another great business that we want to welcome to the family is David Norton and All Star Carpet Cleaning. They provide carpet cleaning in Bothell, WA and have been marketing faithfully for a couple of months now. 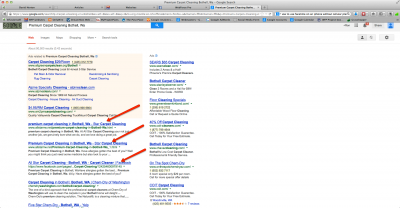 You should check out their results for Premium Carpet Cleaning Bothell, WA. They have landed the top 3 spots in Google. Find out how the Post Place can put your marketing on Auto-Pilot!